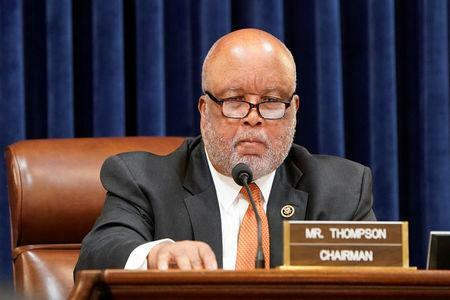 In a letter dated Monday and released on Tuesday, Representative Bennie Thompson urged the chief executives of Facebook, Alphabet's Google, which owns YouTube, Twitter and Microsoft to more swiftly remove content that would spawn political extremism. A Facebook spokesman said the company "will brief the committee soon." Google, Twitter and Microsoft did not immediately respond to requests for comment.